If you plan to visit Kailash, you can also include an additional two days for visiting the legendary Guge Kingdom of Western Tibet. When you drive from Shigatse to Saga, you can continue from Saga straight to Tirthapuri. 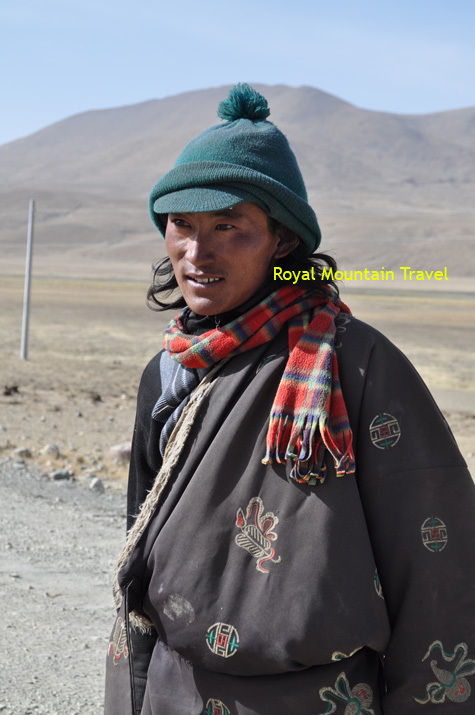 Then the next day will be Day 3 on your Kailash and Guge Kingdom visit. 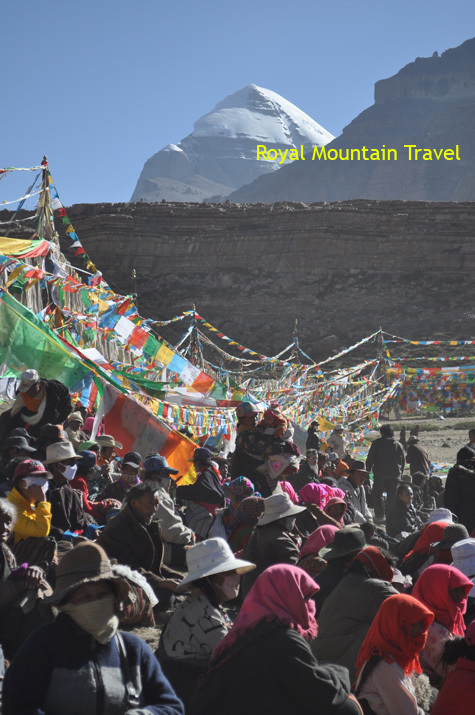 Day 3 Day 03: Continue your Kailash itinerary the next day with Day 3 (starting the khora around Mt. Kailash). Tirthapuri (4320 m): Tirthapuri is an important Buddhist pilgrimage site, 65 km from Darchen, on the north bank of the Sutlej River. There are sacred hot springs there, where pilgrims have a bath, and a monastery with Guru Rinpoche’s footprint. There is a khora path around Tirthapuri you can complete in an hour and see all the sites. It starts from the hot spring and rises up to a cremation site covered with old clothes. From there as you walk eastwards, there is an earth hole, where people dig for small stones believed to have healing properties. Then you get to the karma-testing hole, a rock under the prayer-wheel. Here people try to take out stones, if you get two whites it is believed to mean good karma, if one white and one black, it is ok, and if two blacks, then you need to do more pilgrimage to improve your karma. Visit the monastery. It contains two granite stones with indentations of Guru Rinpoche and Yeshe Tsogyal’s footprints. The surrounding landscape is mainly red and white earth and unusual rockformations, which have become imbued with religious significance. Walk along the mani walls back to the hot springs. Tholing:Tholing literally means ‘high place’ in Tibetan, it was the former capital of Guge Kingdom of Western Tibet. Now a small modern military town, with Tholing Monastery founded in 997 AD in its suburbs. Visiting Tholing Monastery and Tsaparang (26 km away) is possible only with an additional permit from the Lhasa Cultural Bureau. Tholing Monastery is the oldest monastery built by the second king of the Guge Kingdom, Yeshe Ö. There are three temples to visit with many ancient, well-preserved frescoes. The second dissemination of Buddhism in Tibet started from this monastery, where the famous Atisha (982-1054), a famous teacher of the Indian Vikramashila Monastery invited by the king, lived for three years. Another important figure active during the same time was Rinchen Zangpo, the translator, who studied in the Vikramashila Monastery in India, and built three of the major temples of Tholing. Tsaparang:Tsaparang is a huge fortress perched on a pyramide-shaped rock containing numerous tunnels and caves. At its base there was a village for common people, above two temples, the Red and the White Chapel. The statues of the chapels were destroyed during the Cultural Revolution, but their magnificent frescoes survived. Further up from the temples are the royal quarters, and on the top is a summer palace. In the 9th century it was the capital of Guge Kingdom. In the 10-11th century King Yeshe O sponsored the great translator, Rinchen Zangpo to build temples here. In 1624, the first European to reach Tibet, a Portuguese Jesuit based in Goa named Antonio del Andrade, arrived at Tsaparang. The king favoured him, and allowed him to build a church, which made jealousy rise on the part of Buddhist lamas and officials, who entered into conspiracy with the Ladakhi king, bringing the Guge Kingdom to an untimely end. Drive back from Tsaparang to Darchen and repack for the Kailash khora. 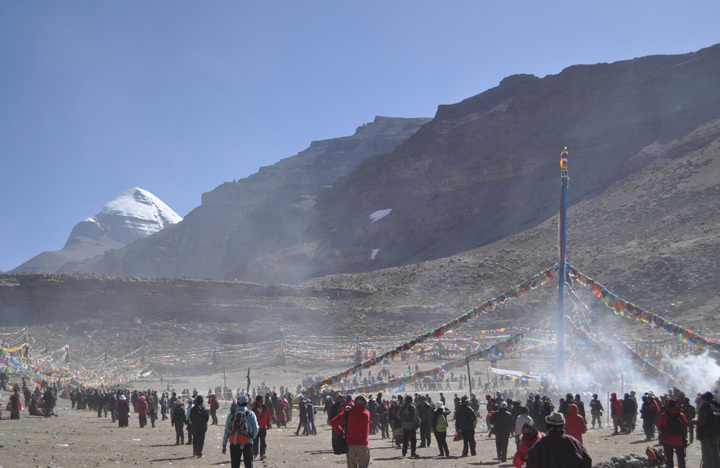 Day 03: Continue your Kailash itinerary the next day with Day 3 (starting the khora around Mt. Kailash).